Welcome to your 10 Best FREE Gratitude Lesson Plans! 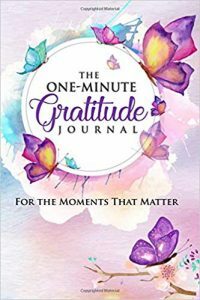 The One Minute Gratitude Journal is delighted to share the 10 best gratitude lesson plans online and other bonus items! Click here for extra copies of The One Minute Gratitude Journal for your students. Your students will reap so many science-backed benefits from practicing and journaling gratitude every day – even if just for a minute! Expect to see better behavior, more acts of kindness, a more peaceful classroom and a greater sense of self-esteem and well-being for your students! The Greater Good Magazine from UC Berkeley (it is a remarkable magazine you can view here) has some of the most effective and science-backed lesson plans we know of! We are so grateful to them and their education director, Vicki Zakrzewski, Ph.D., for providing these three lesson plans for K-8 students. 2. Here is a strengths-based gratitude curriculum from Greater Good Science Center for Tweens and Teens. 4. Want to teach your students about what gratitude is and what it means? HeartMindOnline.org has this insightful lesson plan for you. 5. Hofstra People.edu provides a whole group of their best free gratitude lesson plans for you here. 6. Teachhub.com features their 10 best free gratitude lesson plans and activities here. 7. The American Psychological Association has this wonderful gratitude lesson plan here with all the materials needed and more for practicing gratitude with a gratitude journal. 8. Education.com features a lesson plan on learning how to practice gratitude and this is one of the 10 best free lesson plans on gratitude we found for you. 9. Commonsense.org has several easy to implement social and emotional learning (SEL) gratitude activities that we love! 10. Classroom teacher, Angela Watson at The Cornerstone for Teachers shares her 8 Ways to Foster Gratitude in Students – you will love these! Here’s some bonuses for you too! If you’d like to check out the science-backed research studies on the benefits of gratitude, we compiled them all here for you in one place! This may be very helpful as you implement your gratitude lesson plans! You can also watch several wonderful videos on how gratitude changes people’s lives! If you have a free gratitude lesson plan you’d like to add to this page, just contact us via the contact page here. We hope you enjoy these 10 best free lesson plans on gratitude! Feel free to email your comments on how using these lesson plans positively impacted your students! Click here for copies of The One Minute Gratitude Journal for your students.